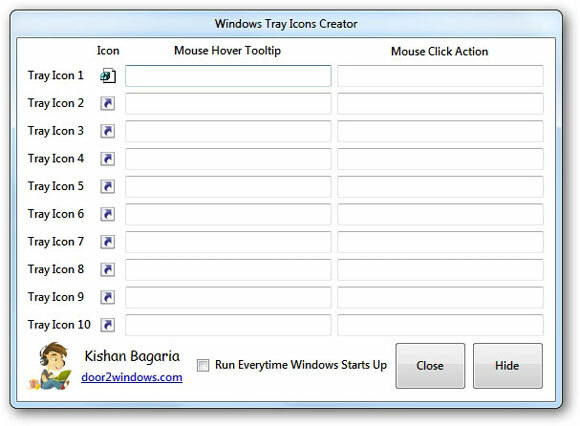 Windows Tray Icons Creator is a free portable tool that allows you to create shortcuts in the system tray. 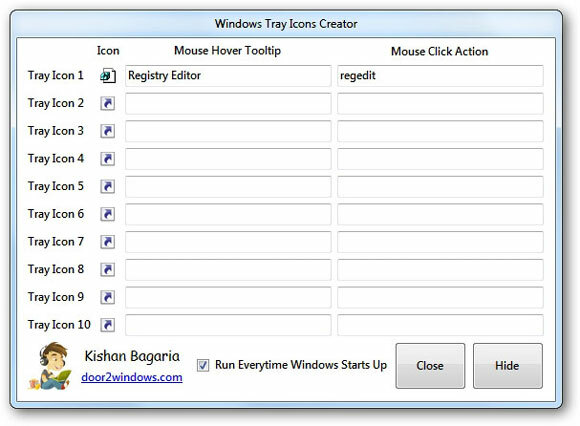 For example, you can create a tray icon which will open Registry Editor or your desired tool when clicked. Run the tool. It will now sit in the system tray: . Click its icon to open the Settings window. 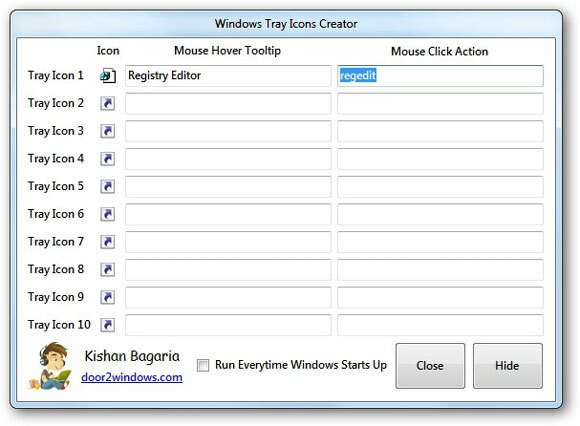 Select the icon for the first tray icon available. You can find icons here. Type the Mouse Hover Tooltip text for the first tray icon available. Type the Mouse Click Action for the first tray icon available. The mouse click action is simply the full path of the file you want to open when you click the tray icon. If you want the tool to run everytime Windows starts up then select Run Everytime Windows Starts Up. Click Hide to send the tool back to the system tray. Now the tray icons you created will be visible. To remove a tray icon, just leave the Mouse Hover Tooltip & Mouse Click Action textboxes blank.